Auction to take place at the end of the 1000-point tasting before dinner. Since 1988, Wine Spectator editors have surveyed the wines reviewed over the previous 12 months and selected their Top 100, based on quality, value, availability, and excitement. Of over 78,000 reviewed, only one becomes #1. Enjoy the #1 pick from 2017! Under the stewardship of Chuck and Anne McMinn since 2000, Vineyard 29 has quickly taken its place as one of Napa Valley's most elite Cabernet producers. With one of the world’s top wine consultants, Philippe Melka, as its winemaker since 1999, this rising star is only just getting started on its journey as one of Napa’s top cult cabs. 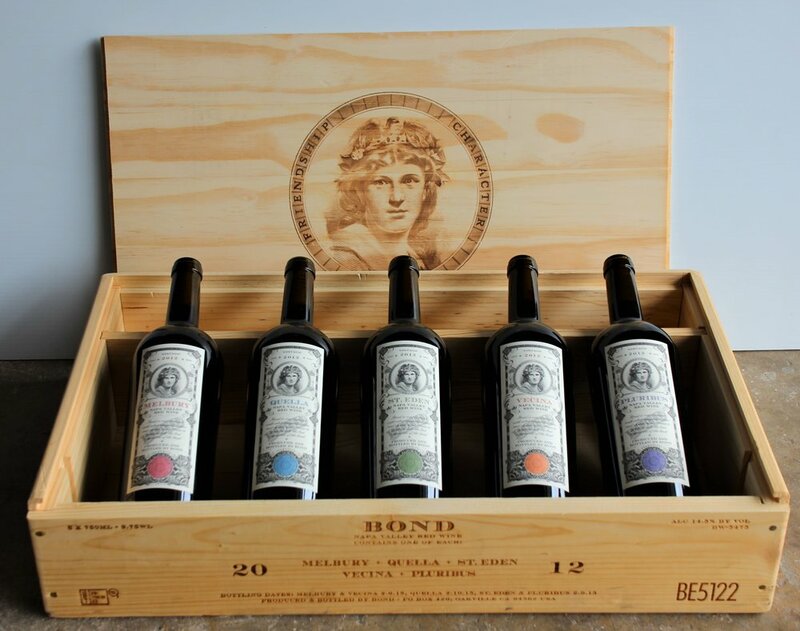 Don’t miss your chance to own this rare, etched and signed D-mag, a stunning showstopper for any cellar. 2013 was an epic year in Napa Valley, and the 2013 Ovid Napa Valley wine is already finding its voice and recounting its story. With two (2) magnums of this spectacular wine, you can tell whatever story you desire to whomever you want! LOt 4 - CDP, GSM, OMG!!! Pop the Châteauneuf-du-Pape! 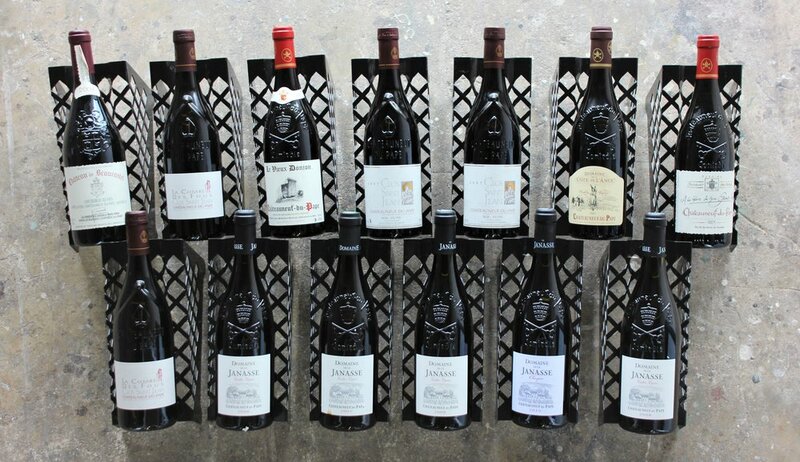 sought-after Châteauneuf-du-Pape, this lot is a CDP-lover’s dream come true! 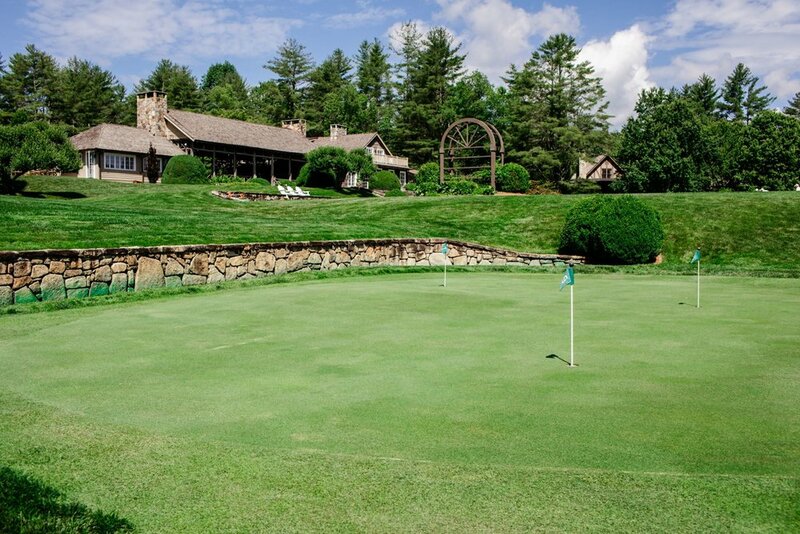 Indulge yourself with a two-night, 27-hole golf getaway for four in Cashiers, NC, just three hours drive from Charlotte. Golf at two exclusive, highly-rated golf courses, Wade Hampton Golf Club and Headwaters Golf Club, with lodging provided at the Chattooga Club, a beautiful mountain club. All three facilities are private and guest access is very limited. Two (2) nights stay in two (2) rooms at the Chattooga Club lodge, with access to the gorgeous indoor-outdoor dining pavilion and Bear Bar overlooking Chimney Top Mountain, as well as the exercise facility and spa. All incidental expenses for food, beverage, exercise or spa facility use are the responsibility of the guests. Lodge has only one room with two queen beds so, depending upon availability, at least one room will have one king bed. Cots are available. Wade Hampton is directly across the road from Chattooga Club and Headwaters, which are adjacent to each other, so all three are extremely convenient to one another. Both golf clubs have very restricted guest-play and no unaccompanied guest-play, so scheduling will be based on donating member’s availability. However, donating member spends the majority of summer and fall in Cashiers. No guest play on Fridays, Saturdays, or around holidays. Mt. 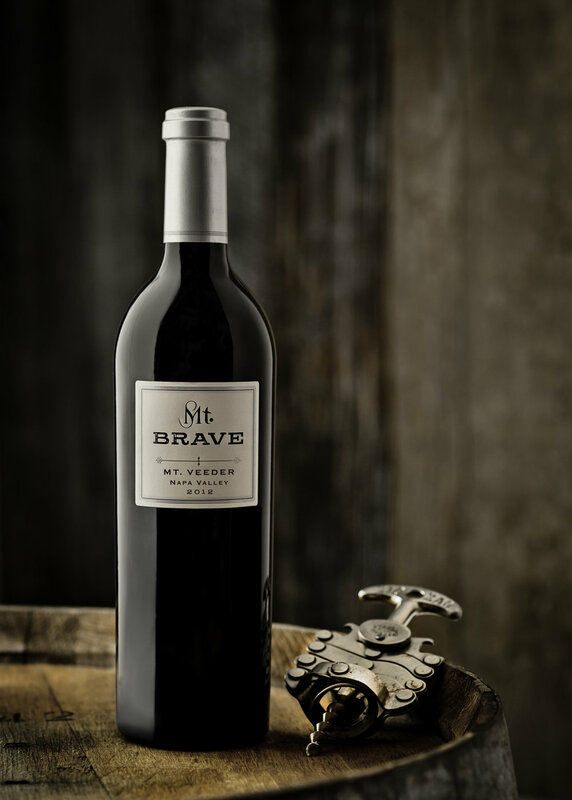 Brave is a tribute to those who settled the rugged terrain of Mt. Veeder in the Napa Valley during the 1800s. 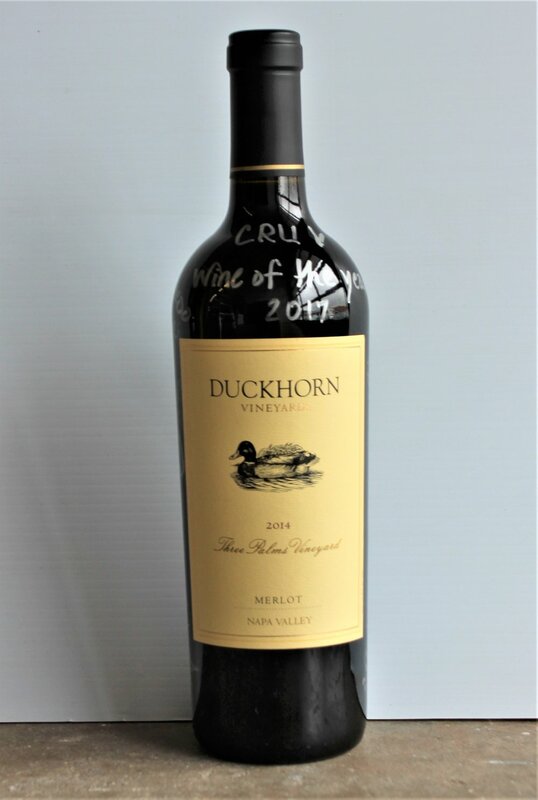 Winemaker Chris Carpenter, known for his legendary winemaking record for Lokoya and Cardinale wine, produces this stunning Cabernet Sauvignon from the high-altitude estate vineyard. This wild and isolated winegrowing region features panoramic views, sparse soils, steep terrain and some of the lowest yields in the Napa Valley. Washington State wineries are making some of the very best Cabernets worldwide. Expand your collection with an exceptional set of some of the finest from Quilceda Creek, including a 100-point wine and eight (8) other highly rated bottles. Quilceda Creek Vintners Cabernet Sauvignon is the first American wine from outside of California to earn perfect 100-point score reviews from wine critic Robert Parker's publication The Wine Advocate. 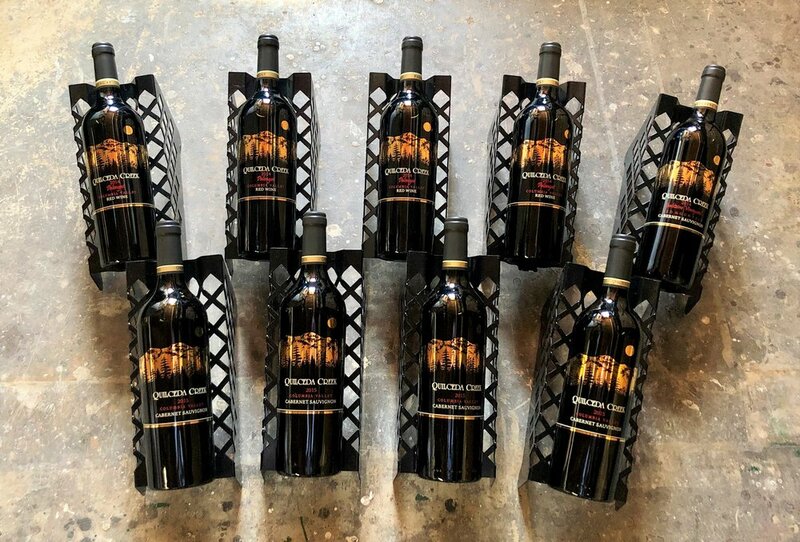 Since its founding in 1978, Quilceda Creek received six 100-point ratings from Robert M. Parker for their Cabernet Sauvignon and one 100-point rating for their 2014 Galitzine Vineyard Cabernet Sauvignon (included in this lot!). Lot 8 - Fallen from Grace! 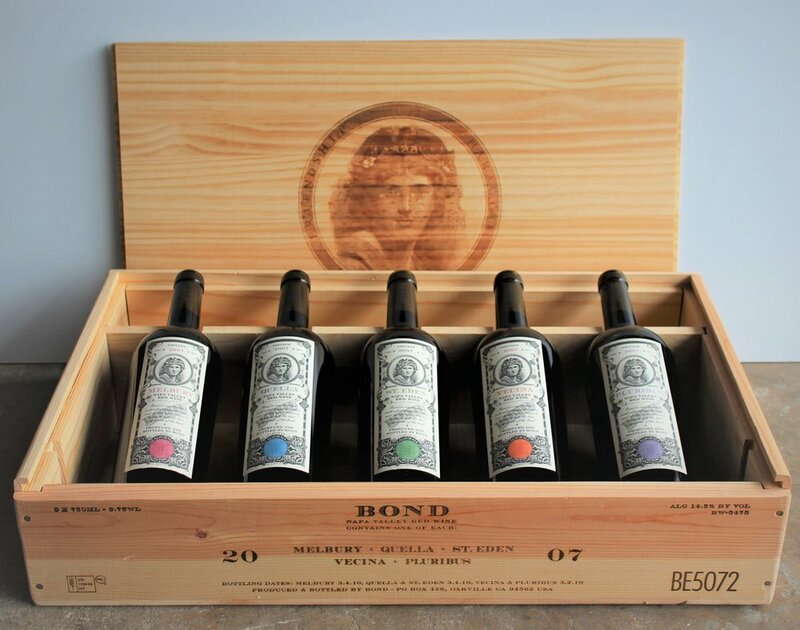 Grace Family Vineyards wine is sought out by collectors around the world. 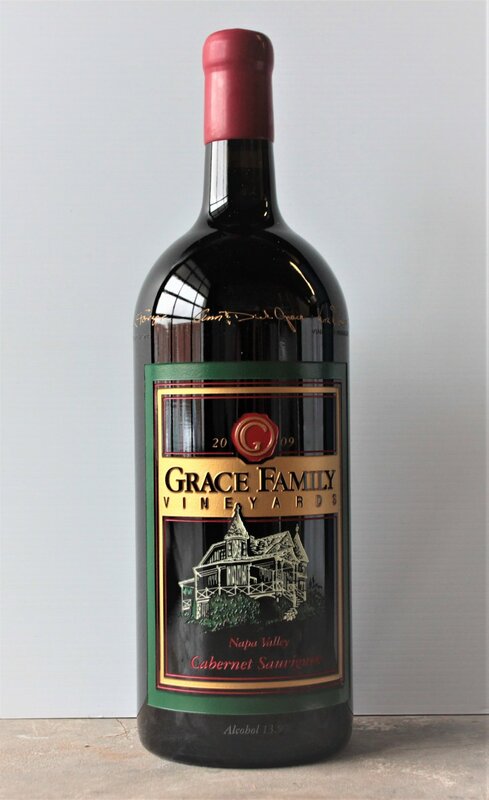 At its best, wine is an expression of place, and the little slice of land on which Grace Family Vineyards Cabernet Sauvignon is grown is certainly exceptional, even for the Napa Valley. This unique large format is certain to tempt you in all its glory like a fallen angel from heaven! Bill Harlan reigns as the king of the Napa Valley cult cab and here we present one of his greatest - BOND. Rarely do you get a chance to buy two cult sets of this magnitude in one offering - featuring horizontals from 2007 and 2012, with a 100PT label in each. Sourced from select hillside estates, the Cabernet Sauvignon wines of BOND vividly demonstrate the range of Napa Valley's finest terroirs. From the more than eighty vineyards Harlan has worked with over the past quarter century, he slowly and vigilantly selected five sites with the potential to define the ‘Grand Crus’ of Napa Valley for BOND. A wine from each site is included in these beautiful sets.